The addition of animals to our off-grid home is what made our beautiful piece of land feel like a real homestead. Even before we moved onto our land, we raised 10 chicks, and we had a chicken coop set up before we had a house to live in! We keep a variety of animals for the joy and companionship they bring to our lives, but more importantly for the food security they provide. 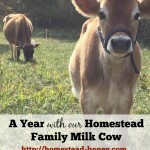 We raise chickens and ducks for their eggs, lambs and pigs for their meat, and a homestead dairy cow for her milk. 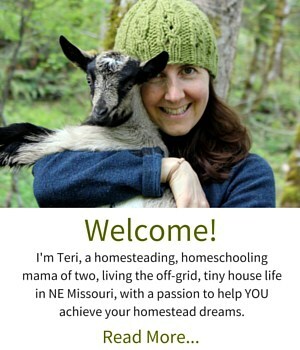 Many people wonder whether a goat or a cow is more ideally suited to a small homestead, and having raised both animals, I think that is a very complicated question that is as much about your personality and affinity for a certain animal as it is for your homestead infrastructure. I have to admit that I have a soft spot for goats, particularly Alpine goats, as we raised them for many years, and even took them out backpacking in the Oregon wilderness. But our wide open hilly pasture is really well suited for a cow, and we were excited to use portable electric fencing and rotational grazing, rather than create the bomb-proof fencing that a goat herd requires. 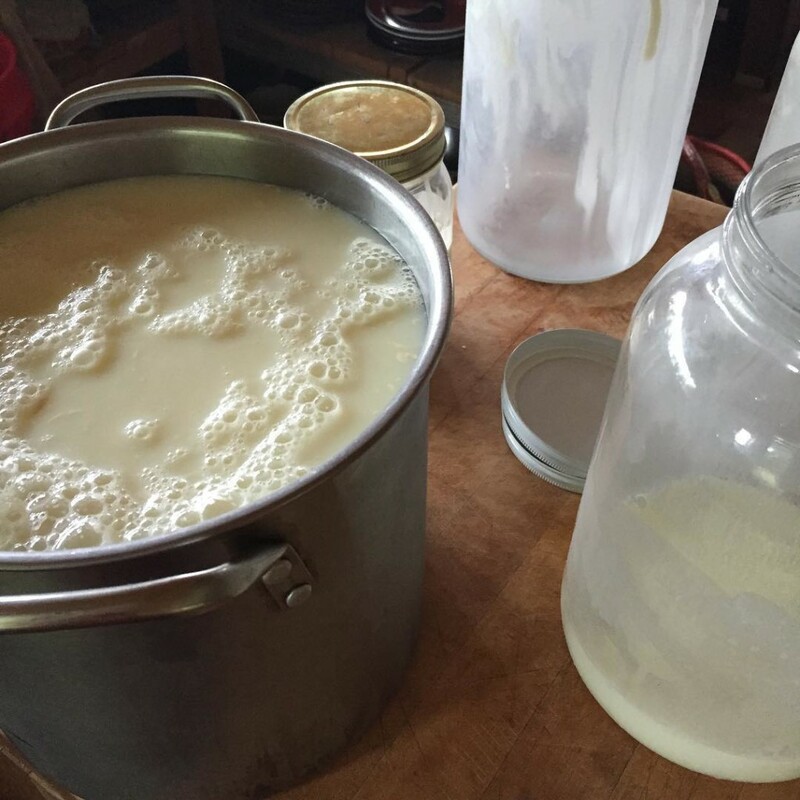 Add these factors to the infinite versatility of a family milk cow (cream! butter! cheese! ice cream! 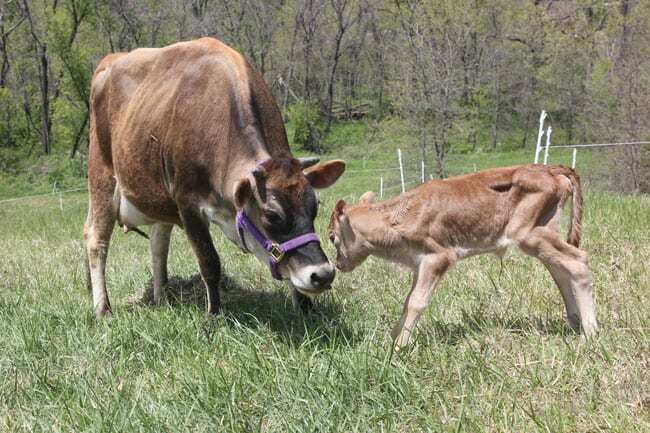 ), and we decided that a Jersey milk cow would be perfect for our family’s needs. 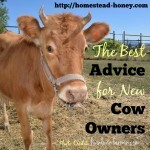 Adding a cow to your homestead is a big decision. 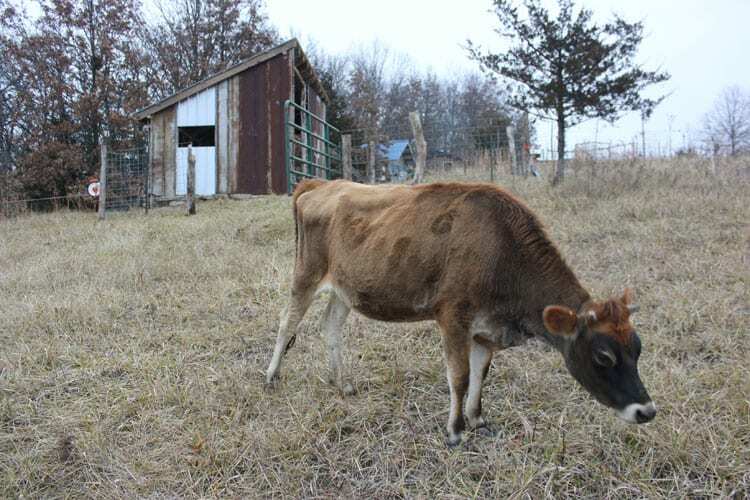 You will want to make sure you have the infrastructure, education, and finances to take care of your beloved bovine. Today, I’ve assembled some of my favorite resources for cow selection, care, calving, and milking. Enjoy! 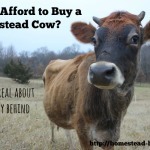 Can I Afford to Buy a Homestead Cow? When Will my Cow Calve? 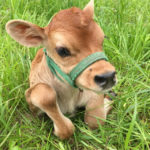 Can I Afford to Buy a Family Milk Cow? Have you looked at miniature jerseys? There is at least one breeder near you & it’s not quite so much milk to deal with (although if you’re making cheese….). We’d love to have one of these but they’re a bit expensive! I have looked into the local miniature Jerseys, Shannon. There is a great breeder not so far away, but she doesn’t have anything available right now. I’m “on her list” for the future though. Right now we go through 1 1/2 gallons of milk per week just drinking it. I think if we were only milking once a day, we’d be perfect. Plus we’d have plenty for cheese and butter and a little to share or sell. Stumbled into your site through Pinterest in a round-about way, and you’ve got some good stuff, but I was wondering if you realize that some of the links provided in this post (specifically those leading to “thebrowninghomestead” are no longer viable. They lead to nowhere. 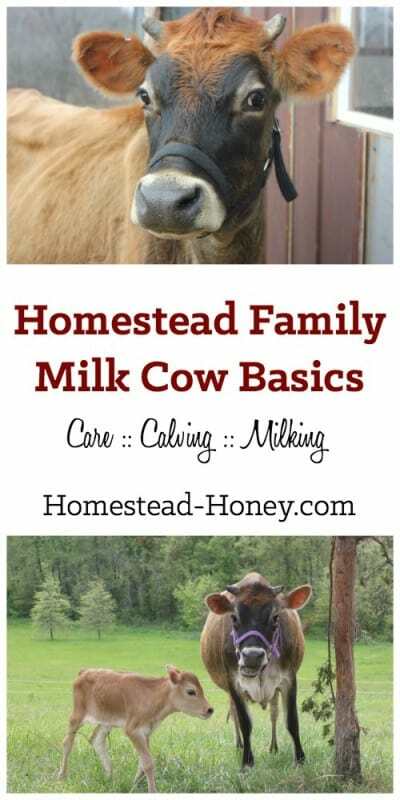 As I am a farmers granddaughter & a milkman’s daughter, and a lifelong livestock lover/keeper I already knew quite a lot of the information linked in here, but for the sake of learning something new I didn’t see any harm in clicking the links etc. 🙂 Thanks for posting! 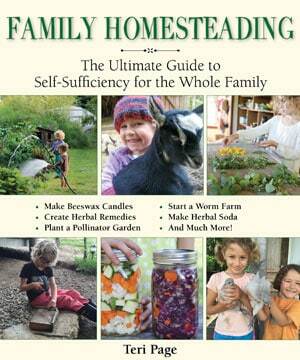 It’s good to know there are others out there who are dabbling in hobby farming/homesteading! Thanks for letting me know, Heidi! 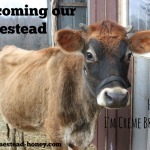 We are selling a couple of family cows from our farm in Upstate NY. Ours our Dutch Belted, a heritage breed. 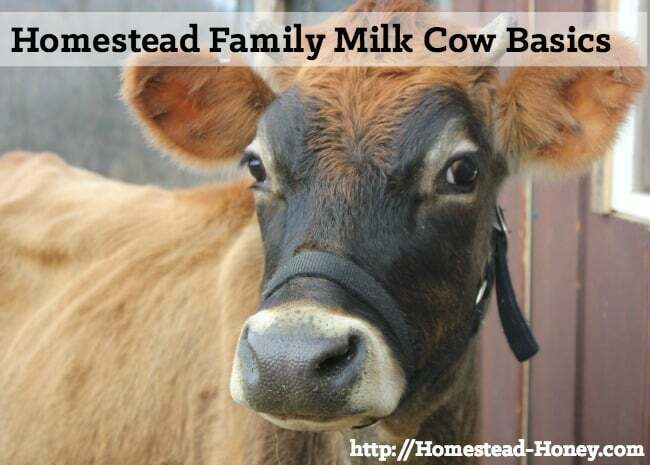 They have been hand raised and are gentle, easy to milk and give wonderful raw milk.